Since we knew we would be going out of town for a few days, I assigned homework last weekend - gasp. We learned about Job, mapped Abraham's journeys, learned more about Abraham, Sari, Lot, Hagar and Ishmael and read more about Sumer, Ur, and the Indus River Valley. The kids also completed their other core subjects. We finished up Pyramids (Learn About Series) , the book we've been using for science for the past few weeks. We were supposed to grow crystals but decided to save that activity for next week when we will actually be home! We learned about modern pyramids which was great since we traveled into the big city of Atlanta - at night no less. Seeing the bright lights of the city exaggerated the building shapes. It was awesome! We found lots of examples of modern pyramids and continued our discussion on the strength of pyramids and how in earthquake prone zones a pyramid structure is ideal. We've been wanting to visit this museum for a long time now. Poke around on the website and you will, too! We stayed for four hours and still didn't see all the fabulous exhibits - so we bought a membership! 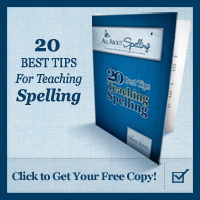 We plan to go back to a few of the special educational days they host. 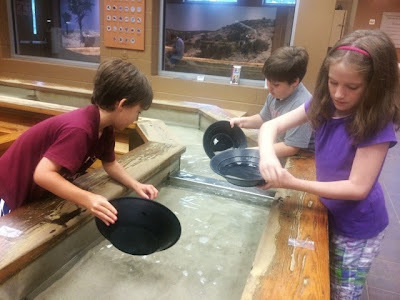 The kids had so much fun panning for gems. Each child got a small bag to collect their stones in to take home! 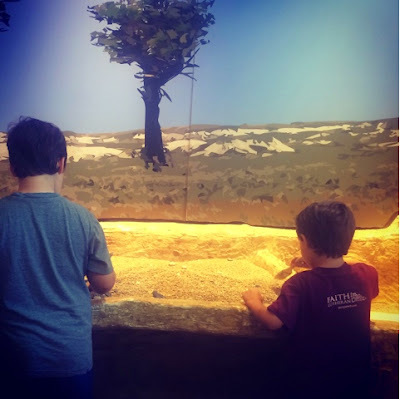 This is where the kids spent the majority of there time: Fossil Dig. The dig sites are filled with REAL fossils and lots of them! Jonathan had the hardest time picking just one to take home. 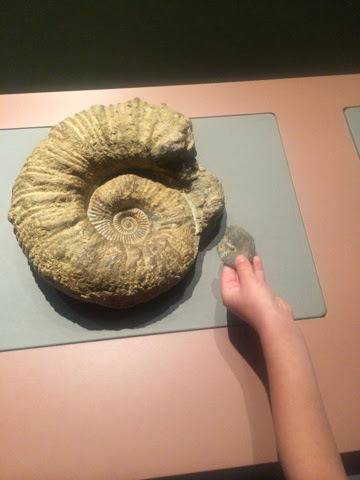 He decided on an ammonite, one of the oldest fossils in the dig area. Here he is comparing his to one on display. Is that not super cool?! 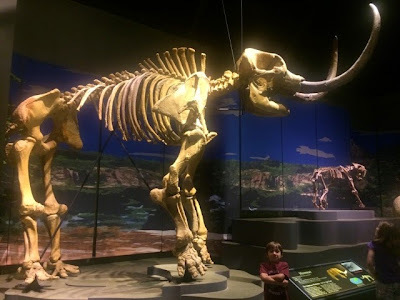 Who wants to see a mammoth and saber-tooth cat? We sure do! And we got our chance at Tellus. 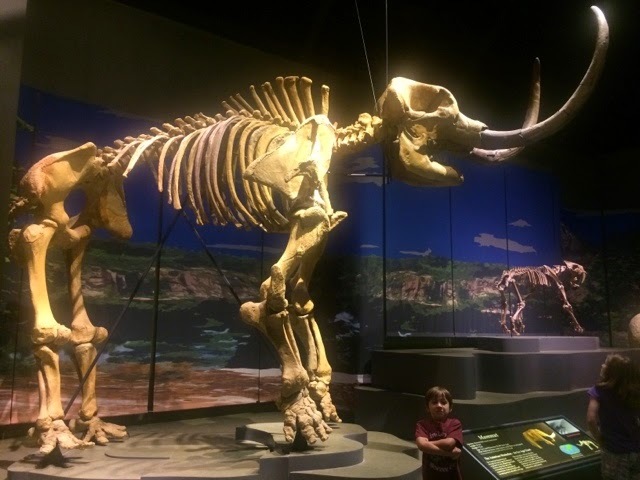 There are so many cool dinosaur fossils there! There is a huge megalodon mouth, full T - Rex, pteranadons, dino eggs and so much more. Dinosaur lovers will be in heaven. We also saw two shows in the planetarium. One was a live astronomy show. We learned a plethora of information from the 35 ish minute show. It's digital, so the interactive features were amazing. I highly recommend seeing Tonight's Sky if you get a chance to go. The second show we saw in the planetarium was a thrill ride. 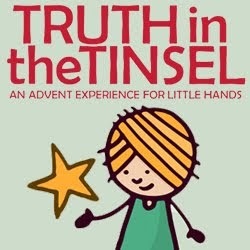 Totally just a fun activity that the kids loved! We rode futuristic amusement park rides around the ice rings of Saturn, on a moon of Jupiter, near our sun, and more. Caraline and I just weren't thrilled with the choice of lyrics to the music. They could've left the voice off and just let it be instrumental. The music was fabulous - but that is just our opinion. 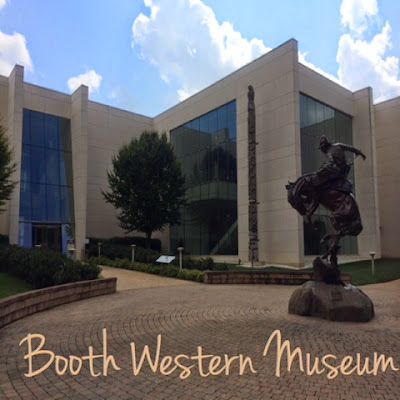 Our next stop - The Booth Western Art Museum also in Cartersville. This museum is amazing. We've only recently become aware of its existence. It is a gem for sure. If you are studying American history, this is a must see. If you have a horse lovers, like I do - this is a must. 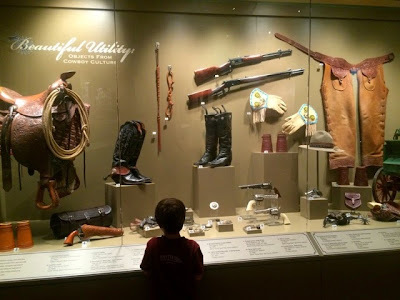 If you are interested in cowboys and Indians - this is a must. In fact, I've mentioned this before, but four of my great grandparents were pretty much full Creek. One was more European and the another had a lot of Native American blood, too. I'm not sure about the other two. 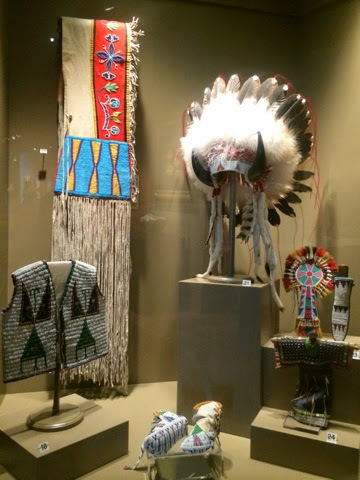 So, we have a special interest in learning more about Native American culture. The exhibits are beautifully displayed in this modern museum. 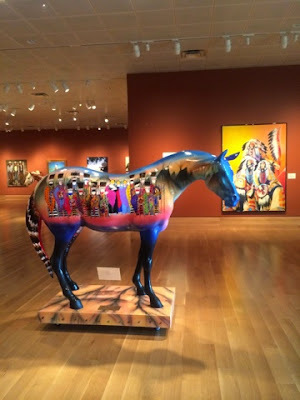 Here are a few of our favorites from a couple of the galleries. 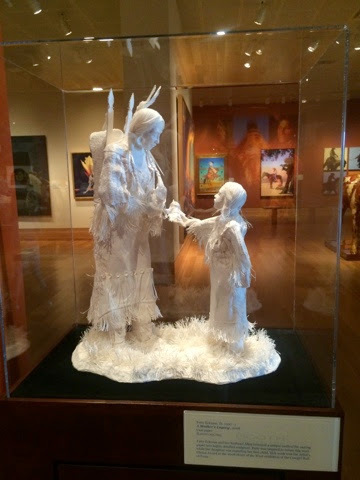 If you decide to go, I encourage you mamas to find the painting "Wind Beneath Their Wings." It is one of my many favorites. 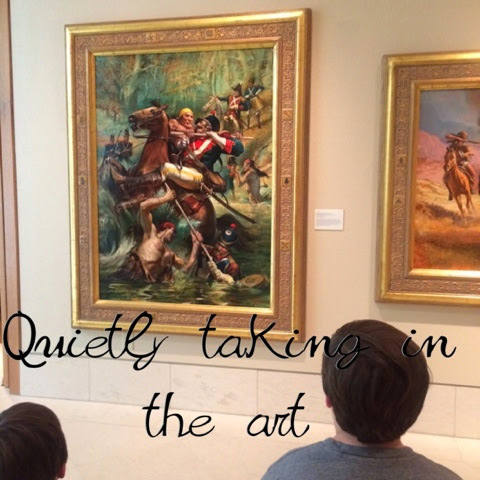 I often found the kids sitting and quietly examining the beautiful art work. There is also an exhibit area with either a handwritten or signed letter from every single president. The presentation of each is beautiful. I heard a docent tell a group that teachers will give their students an hour and a half to explore this one room with instructions to read each letter and to pick one to write a paper on. What a great idea! 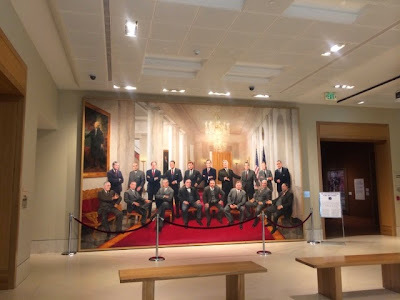 We loved this large painting with many of our presidents sitting together. My little ones picked out the portraits of Washington and Lincoln inside the painting and thought that was super neat (they noticed before I did!). Plus the idea of having presidents, who could've never meet each other, in the same painting and looking so real was truly awe inspiring. There are a couple of stage coaches to explore too. We took special notice of the gas lantern. The Lamplighter audio drama we listened to last week, the Robber's Cave , spoke of lighting the lantern on the outside of the carriage. It was really cool to see this one. 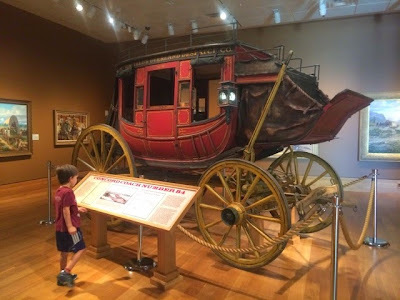 Once we walked over to the other side, we could see in the carriage since the door was open. 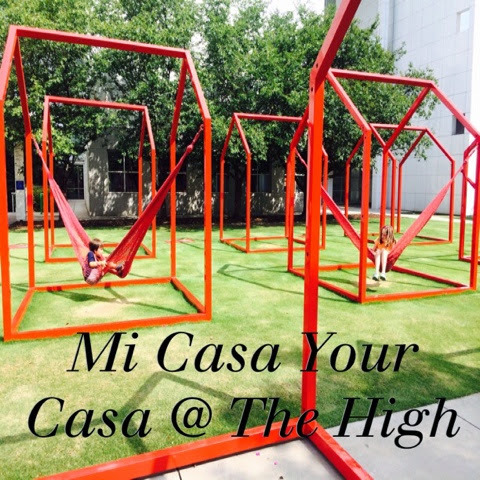 We love the High. We try to go at least four times a year. We only had a couple of hours to explore on this day. Big thunderstorms were quickly approaching and we wanted to get home before the storms. There is a special program called Discovery Backpacks at the High. Inside the red backpacks you'll find three activities designed around three different pieces of art in the modern collection. I recommend each child borrowing the same color backpack so that they can each work on the same pieces of art together - on the same floor. 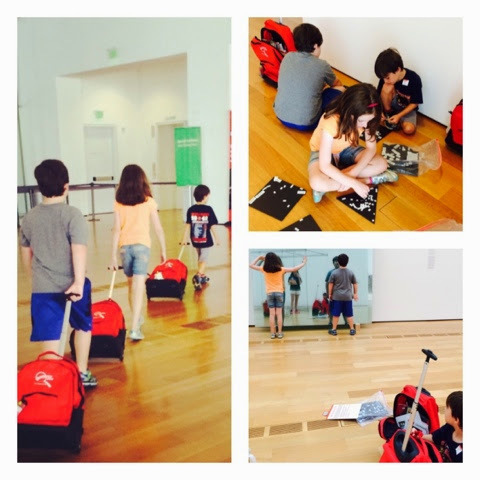 I was impressed with the backpack activities and we truly enjoyed our experience - once we figured out how to find the art pieces. The Discovery Backpacks take about 45 minutes to complete. After returning the backpacks, we toured the Dream Cars temporary exhibit once again and listened to the iPhone app on Dream Cars. We spent the weekend with our north Alabama family. The grandparents have a chicken coup (thanks Cousin Taylor!) 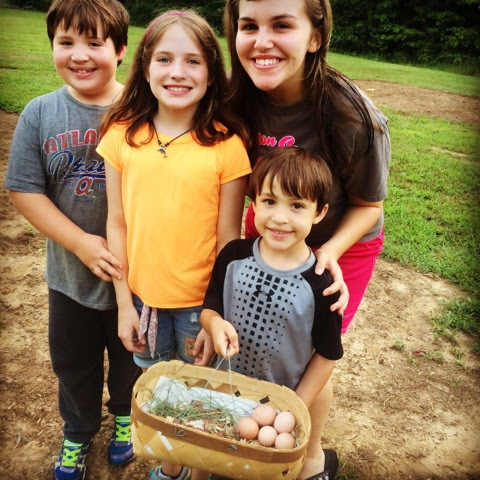 and the kids got to gather eggs each day. 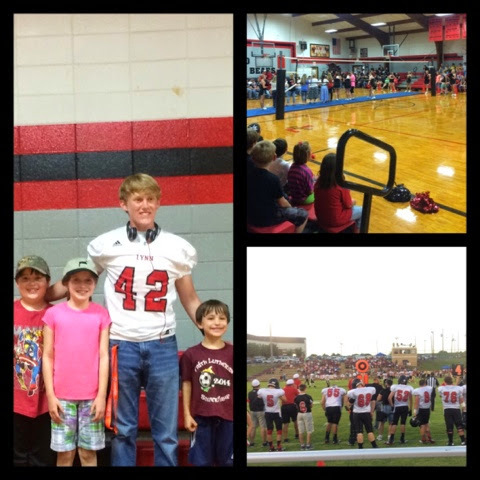 We enjoyed the local highschool Pep Rally and cheered on our favorite #42, Cousin Sam, at a jamboree game. Cousin Taylor plays volleyball in the fall and she's always so good about practicing with Caraline and giving her pointers on the game. Caraline eats it up. We also got in lots of target practice, swimming, and frog and katydid catching, too. 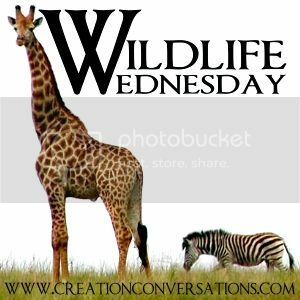 We are linking our Weekly Highlights with our friends at Homegrown Learners and Weird Unsocialized Homeschoolers. Look at all of the fun things you have been doing!!! 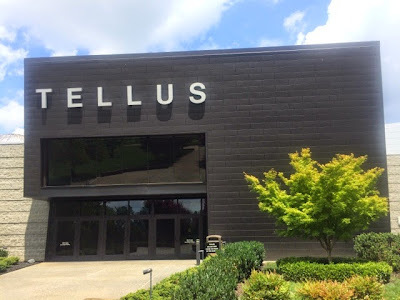 I drove by the Tellus on the way home from TN last weekend and told myself I have to take the kids very soon... then I saw you were there with the kids. It looks like you had such a good time there - and all of the other places you've been recently, too! Your children are so blessed to have you for their mama. 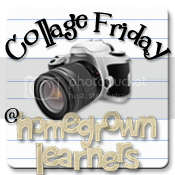 Thanks for linking with Collage Friday, Hope! Thank you so much for your wonderful review of Tellus Science Museum! May we share on our Facebook page? Absolutely! We will be back today for Round 2. This time we are bringing my sister and niece. They're visiting from FL and are so excited! Exciting week for sure. You all have so much fun while learning. :) It amazes me how eager they are to learn. You are a great mother and teacher. I love you all and miss you, too.